We are back with another trendy topic this week – intermittent fasting! 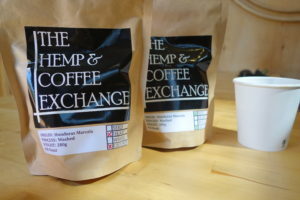 Grab a big cup of coffee and let’s dive in. Thanks to Jennifer Moss, who is also a podcaster (co-host of The Baby Names Podcast), for her feedback. Jennifer commented on the importance of reading labels, which we discussed on the hidden sugars & keto diet episode. 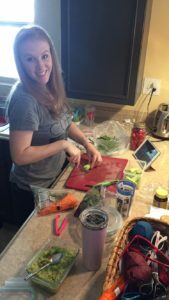 Shannon has been diligently making weekly meal plans and testing new recipes to add variety back into our diets. A varied meal plan is also a great way to prevent falling back on crutch foods (something we talked about in a previous episode), but it’s been tricky to find quick and easy recipes to make. We did uncover a great new recipe for chickpea cakes, which everyone in the family, even Ella, liked. Nick meanwhile, got results of a recent physical back to find out that he is; somewhat deficient in iron and calcium, but he also lowered his cholesterol – LDL cholesterol by 60 points and total nearly 70 points – which is most likely due to dietary changes (more fish and eggs, and more plant-based recipes – more of a pegan diet) and intermittent fasting. We wanted to bring you a breakdown of intermittent fasting as we have some great resources and personal experience to reference for you! Fasting is the oldest dietary intervention in the world. Modern science confirms it can have a profoundly beneficial influence on your health, including efficient weight loss, reversal of type 2 diabetes and more. Shannon has learned about this from a different perspective – from motherhood articles. Specifically, the importance of babies sleeping through the night is related to intermittent fasting because their digestive system needs a break – just like adults’ systems. When you’re not consuming foods, your body is able to work on other important functions (cell growth, cell repair, authophy, etc). Starvation mode actually is guaranteed if you just try and cut your calories. But what’s interesting is that fasting doesn’t do that. What happens during fasting is that after four days of fasting the body actually switching fuel sources – from burning food to burning [body] fat. As Shannon is hypoglycemic (lack of blood sugar) and breastfeeding we also talked about how there are groups like that, and those who are underweight or malnourished, children or pregnant – who should probably NOT fast. Water plus non-caloric beverages. A slight variation on the water fast is to include other non-caloric beverages, such as herbal tea and coffee (without milk, sugar or other sweeteners, including artificial non-caloric sweeteners). Bone broth variation. Another variation Fung often recommends for longer fasts is to allow the use of bone broth. In addition to healthy fats, bone broth also contains lots of protein, so it’s not really a true fast. Fat fasting. Here, you allow healthy fats during the fast in addition to water and/or non-caloric beverages. 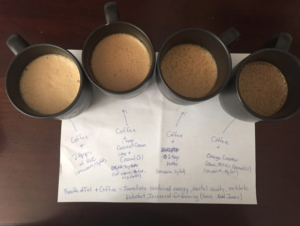 While you probably would not eat a stick of butter, you could have bulletproof coffee (black coffee with butter, coconut oil or MCT oil), for example. Alternatively, you could add the fat to your tea. Intermittent fasting. 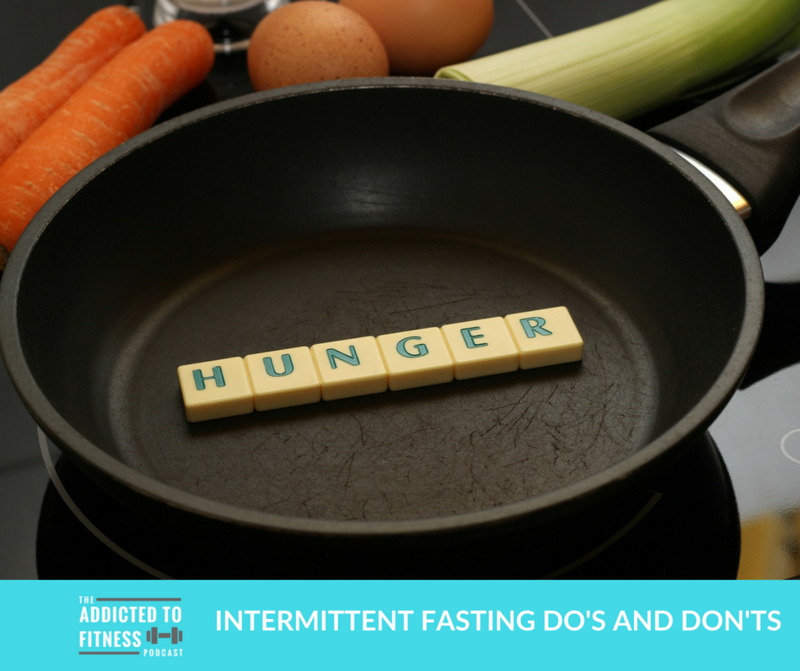 Specifically, this involves scheduling your meals in such a way that you get a period of fasting each day. Typically, you’ll eat all of your meals within a 6 or 7-hour window. Thanks for checking out this week’s episode. As always, please show us you liked it by sharing it with friends and leaving a review, rating and review. If you’re interested in the products we use, visit our shop page to check out our ATF affiliates, Stick Mobility & Hemp Coffee Exchange, and our ATF Approved items on Amazon with our special ATF link here.